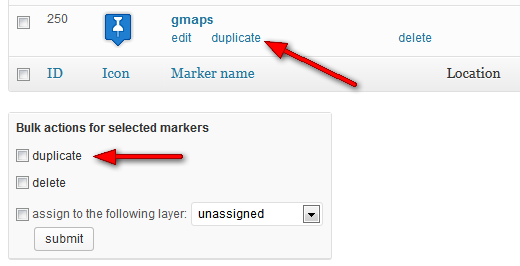 Pro v1.5.1 is mainly a bugfix release, but also adds a new feature for duplicating maps. Please read below for more details. leaflet.js v0.7.1 fixes 7 bugs, especially for older Android mobiles. See detailed changelog for more information. A great sideffect from fixing the Google ads bug for layer maps was that I found a way to integrate Google Street View within the map 🙂 So filtering of layers will be postponed to v1.7 and focus of v1.6 development will be the integration of Google Street View.